If your a game fanatic and you own a Mac, today is one of the best days. 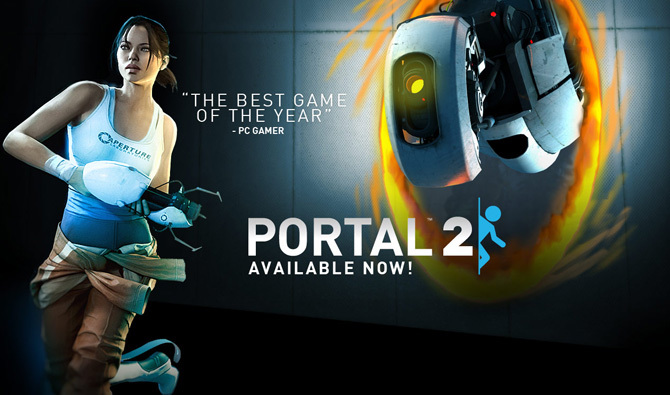 After seeing the Portal 2 Press teasers, it’s finally live via Steam. Portal 2 is a unique puzzle-shooter blend that is unlike any other games on the market. Portal 2 boasts single and multiplayer modes that enable two players to work together in different challenges. Portal 2 is currently $49.99 and can be downloaded through the Steam client. Remember, the better computer will yield a more pleasing game experience.